You can searching in downloaded pictures by key word, picture properties, date, etc. 1.Toggle to task pane (if you toggle to profile pane, you can't search pictures). 2.Click search on main toolbar. 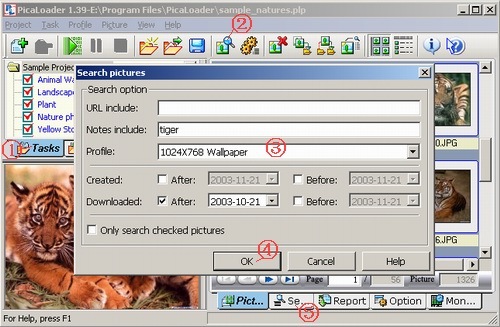 5.PicaLoader will auto toggle to search pane and show you the search result.